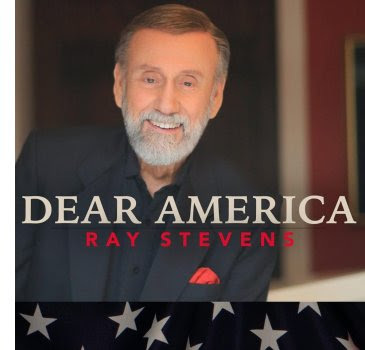 Nashville, Tenn. (September 6, 2016) -- To help commemorate the 15th anniversary of the 9-11 attacks, legendary singer Ray Stevens has released a new music video with a message for the USA. "Dear America," premiered exclusively today on The Boot. "Dear America, I promise you, I'll teach my children of your freedom and your grace / And of the Founding Fathers' wisdom in the writings that they made," Stevens sings to open the ballad. "Dear America, I won't let them forget the sacrifice that your men and women made / And that our flag still flies from the dying breath they gave." "I loved the song, and I immediately wanted to record it," says Stevens. "And I think the record turned out really well. I think the song is very appropriate for the situation in our country today." "Dear America" was penned by Connie Jo Hamrick, the wife of Stevens' keyboard player, Jon Hamrick. It is available for download now on iTunes and Amazon.